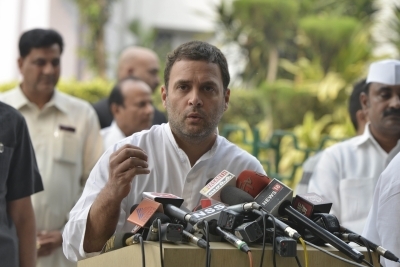 New Delhi, Oct 30 (IANS) Congress Vice President Rahul on Modnday approved the names of 25 state unit presidents of the Fishermen Congress of the All India Congress Committee. The party also approved the name of Sunil Kumar Srivastava as one of the organising secretaries of the All India Congress Seva Dal. The announcement was made by party’s General Secretary Janardan Dwivedi.